As sole creative in this startup, it was my task to design the look and feel of this gamified version of LinkedIn. 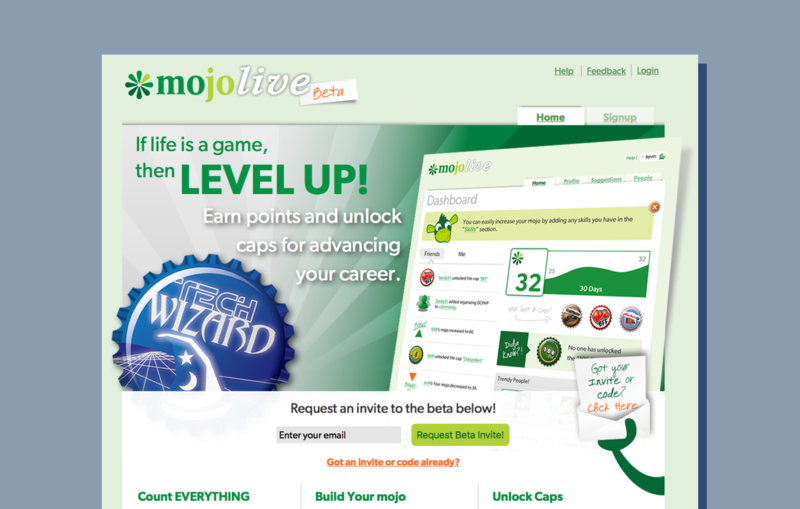 mojoLive was a gamified career-building website that gave you points and virtual bottle caps (badges) for adding stuff like experience, education, conferences attended to your profile. You also got points from reviews people gave you on your skills. Reviewers had to have actually worked with you—different from how LinkedIn allows anyone to rate your skills. The points go into your profile and an algorithm calculates your “mojo score”. I art directed most of the bottle cap designs, but below are a few samples of the ones I designed. Many bottle caps were awarded on special days, like Towel Day in commemoration of the Hitchhiker’s Guide to the Universe.